Give a gift of distinction with this LIMITED EDITION sculpted masterpiece by artist, Gary Rosenthal. The angular shape of the “Rambam Menorah” makes this a truly unique and spectacular piece of Judaica. 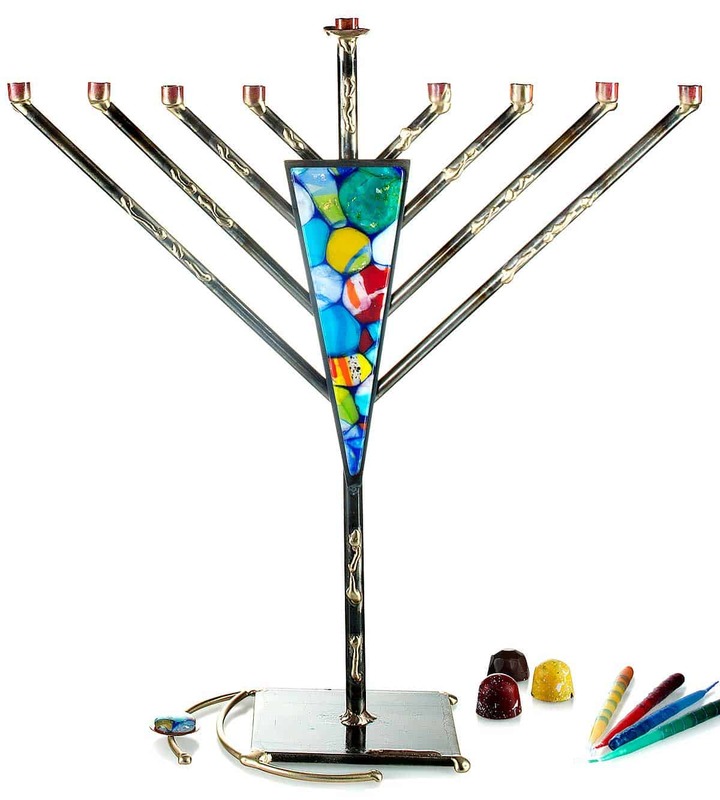 Fashioned of copper, iron and fused glass, this towering menorah will find a place of honor in any home or office. 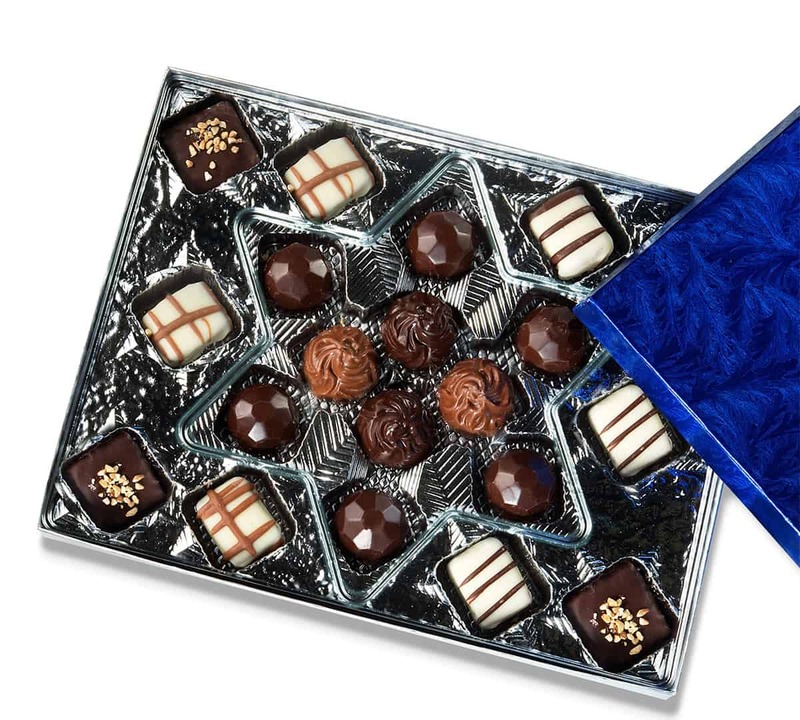 Arrives with our amazing Star of David gift box of assorted truffles.